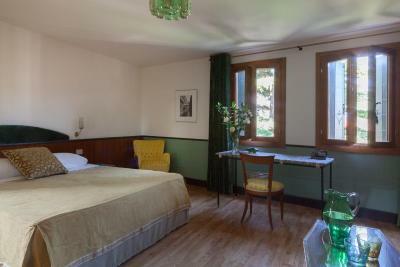 Lock in a great price for Hotel Gabrielli – rated 8.6 by recent guests! Very good room, great location, nice staff, excellent breakfast. Perfect location, breakfast was really complete and good quality and the staff were very hospitable. 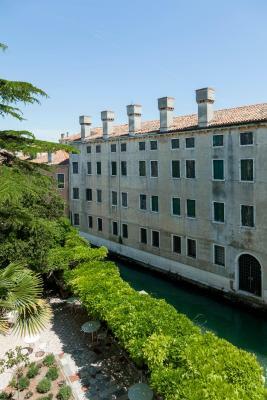 The location of the hotel allowed one to walk to most of the sights or catch boats to get to just about anywhere in Venice. Great location for our trip. Every detail of the room was executed to perfection. While we didn’t have a water view, the advantage was a quiet inner courtyard room and restful sleep on comfortable beds with quality linens. 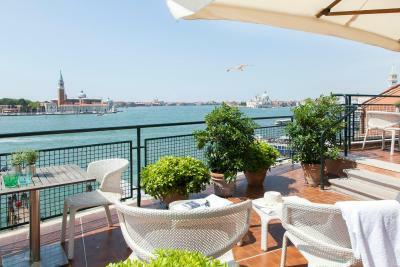 The location was ideal and the restaurant served the best meal eaten in Venice with a lovely lagoon view. The included breakfast was good with a nice array of choices. Staff was helpful regarding our water taxi transfer to the airport, making calls on our behalf. Perfect in all ways. We were in Room 518 on the top floor with a roof terrace which gave us the amazing views of Venice - this is under the roof terrace bar but this closes at 9pm and didn't cause us any problems. 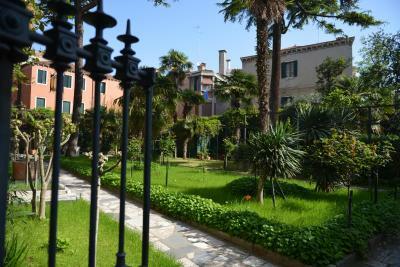 It was excellent value for the money, a bit close to San Marco, but far from other sites. There are a lot more crowds in this area, but the plus is that the alilaguna stop is super close. After we were changed from our original room the view was great of the Grand Canal. We were given the wrong pier to come in on and therefore, we were forced to drag our bags for over three miles of bridges and cobblestone. A private taxi would have cost over $70 euro for a 15 minute trip. Manager was very nice. Loved the location! I loved that we could the computer to print out confirmations. The lobby and restaurant were nice. Room was clean and the bellboy was super helpful! 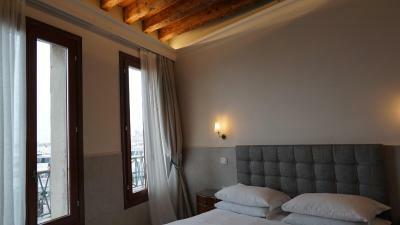 Hotel Gabrielli This rating is a reflection of how the property compares to the industry standard when it comes to price, facilities and services available. It's based on a self-evaluation by the property. Use this rating to help choose your stay! 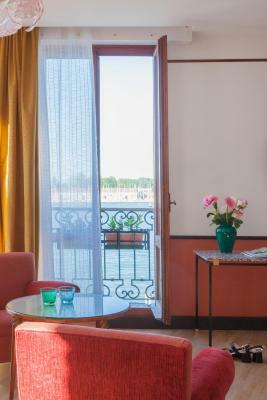 Set along Riva degli Schiavoni, overlooking the lagoon, Gabrielli Sandwirth is less than a 10 minute walk from Saint Mark's Square and the Biennale Gardens. Breakfast is served in the courtyard. 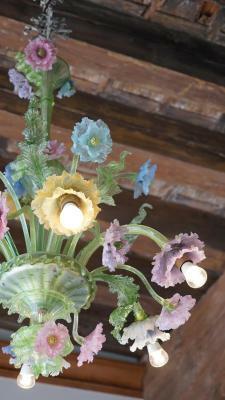 The hotel's elegant interiors feature antique furniture and exquisite Murano glass lamps. Guests can relax in its beautiful rose garden or up on the roof terrace with a drink from the bar. 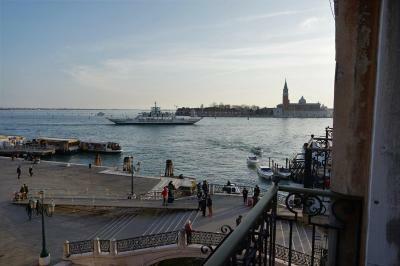 The restaurant offers traditional Venetian cuisine and lagoon views. 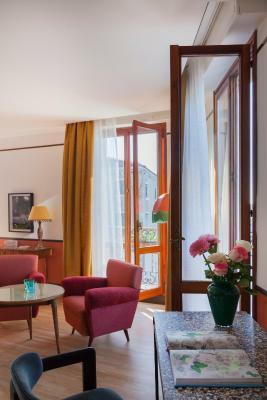 Rooms at Hotel Gabrielli Sandwirth have a classic design with hardwood floors and warm color schemes. Some have marble bathrooms. All air-conditioned, they also feature satellite TV, a fridge and a private bathroom with hairdryer. Wi-Fi is available throughout. 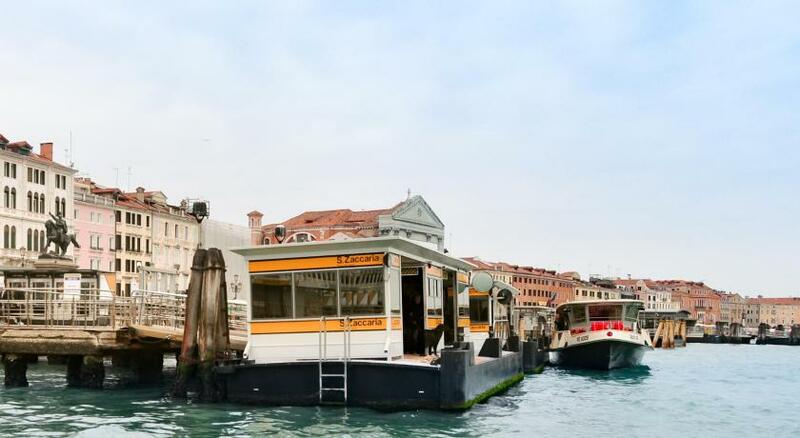 Guests have excellent connections around Venice with the Arsenale Vaporetto water bus stop just 500 feet away. The surrounding area is packed with the city's most popular shopping, restaurants and cafés. 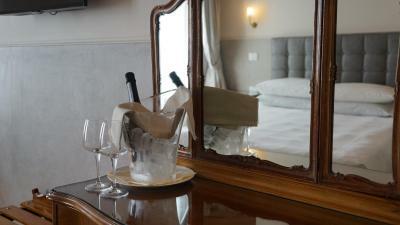 When would you like to stay at Hotel Gabrielli? 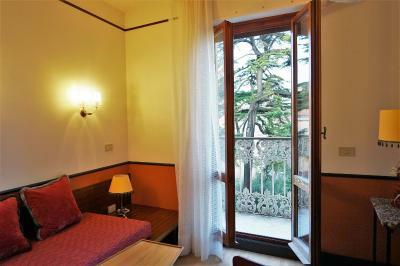 This cozy room has a traditional Venetian design with hardwood floors and a marble bathroom. 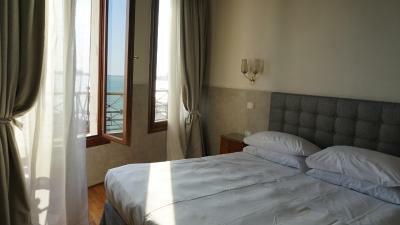 Large room with hardwood floors, marble bathroom and a view out over the lagoon. This twin/double room features a flat-screen TV, air conditioning and mini-bar. This spacious air-conditioned room comes with views of the garden or the internal courtyard and a private bathroom with walk in shower. This twin/double room features a flat-screen TV, mini-bar and air conditioning. This twin/double room has a satellite TV, mini-bar and air conditioning. House Rules Hotel Gabrielli takes special requests – add in the next step! One child under 2 years is charged EUR 15 per night in a crib. 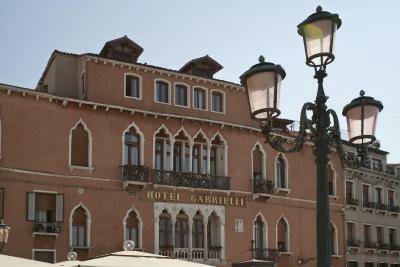 Hotel Gabrielli accepts these cards and reserves the right to temporarily hold an amount prior to arrival. Room size was good for one night, but for a longer stay I think it was a bit too small - although with this location it was a minor factor. Absolutely stunning! Wooden floors, marble, gorgeous chandelier and .. great Moroccan oil toiletries and what I haven’t seen before - a little extra for ladies - personal hygiene gel ( little thing but we ladies care about). Our room was overviewing a Rose garden. Very polite, informative staff. They assisted us while getting to our room and took ALL luggage for us. Breakfast was a very wide choice - buffet. Gorgeous fresh pastries, traditional Venetian cake and loads of cold meat/ cheese/ salad choices. The hotel offer an ironing and laundry facility at an extra cost but don’t provide an iron or ironing board for individual rooms, so be aware if you have creased clothes and arrive beyond 16:30. The hotel is perfectly situated for all major sightseeing and more than happy to organise transport and provide information. 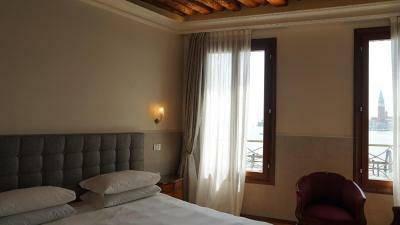 Room was an excellent balance of Venetian style and modern convenience with a large comfortable bed and well appointed bathroom. Breakfast was delicious with a vast array of self serve items. Location could be a little better, but not a major issue. Breakfast needs to be improved in terms of quality and selections. Nice decor, good location, Spacious rooms. Liked everything though being Easter weekend, quite expensive and a little crowded. D extraordinary view of d canal and d d ambience of history and culture. Hotel was ina great location, breakfast was amazing, loads of choice. Staff very helpful . Would recommend this hotel. Little pricey, but it is Venice! The room was amazing, we upgraded to a lagoon view and it was incredible. 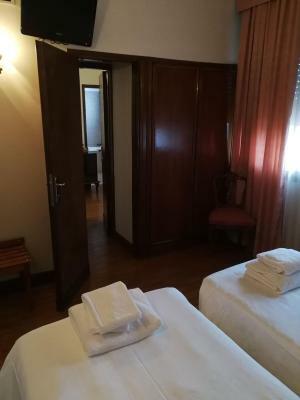 Comfy bed, clean room, friendly staff, fantastic breakfast buffet and only a 5 minute walk from the main square + 30 seconds from nearest ferry point to the airport. The light bulbs kept turning off autonomously in the bathroom and the air conditioner didn't work well either. Extra blankets should be provided during cold seasons. 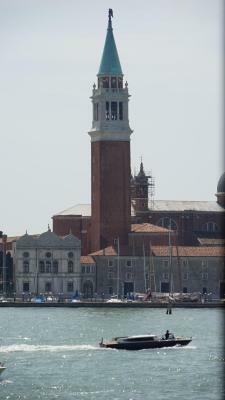 Its location is really great to get to sightseeing spots and the nearby waterbus stop. Breakfast is also recommended. Excellent location, really good breakfast. Le personnel, l emplacement, l hotel en general.